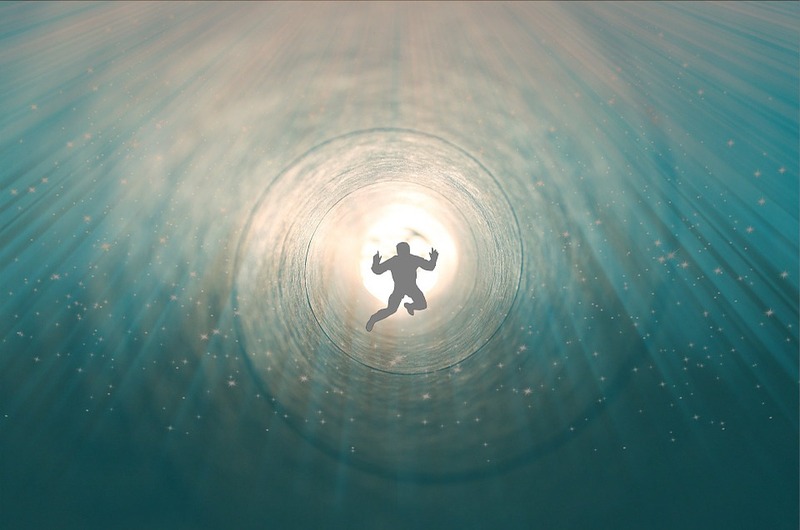 According to a man who insists on having traveled through other dimensions since the age of five, a man’s soul can leave the body and exist independently in the universe. Curiously, in recent years scientists have investigated the possibility of life after death and said how consciousness is maintained in the cosmos after death. Whether or not Out of body experiences are real is something that has gained popularity among many people in recent years. In fact, it has become so popular among many people that scientists have begun investigating the possibility. However, a man named Todd Acamesis claims he has been having out of body experiences for 42 years, ever since a near death experience when he was five. Out of body experiences are described as the feeling that you get as if you were floating outside of your body. Some say this can be achieved via meditation, and how during an OBE you can even see your own body externally. The mystery behind OBE’s was discussed at the 27th annual Glastonbury Symposium—a conference held in the Somerset town—where various researchers and authors discuss several topics ranging from the paranormal, conspiracy theories, alternative thought, to new age philosophies. Acamesis, who was present at the symposium says how he now teaches out of body exploration to anyone who is interested in experiencing the phenomenon. “Like with anything in life the distinct thing is to be clear about what you want to do,” said Mr. Acamesis , who believes in a form of OBE referred to as Astral Projection—a willful separation of the soul, or our astral body from the physical body, which can travel across the universe. And while this may sound fascinating to some, there is no scientific evidence to prove the existence of out of body traveling. Claims like those made at the 27th annual Glastonbury Symposium remain a matter of the paranormal and pseudoscientific arenas. 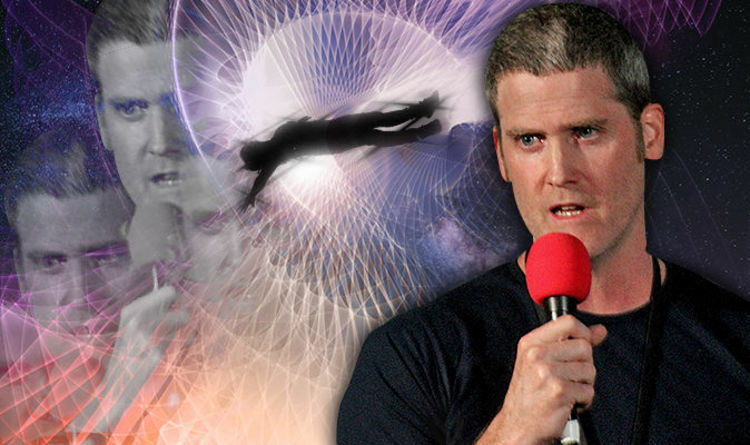 Canadian Todd Acamesis, claims he has been having out of body experiences. Image Credit: Getty. “If you know the purpose of why you are doing it and the ritual side – astral projection – from my own view we are dealing with metaphors and what explains existence. My belief state changes rapidly. I am no longer looking at physical reality. It is not just out of the body, we are consciousness. We are very grounded in this reality, but we are not exclusively physical bodies,” explained Mr. Acamesis at the Symposium. Mr. Acamesis has made unbelievable claims saying that he has even managed to explore buildings through “remote viewing,” and even had the ability to walk through walls, all of which is possible since we are dealing with a multi-dimensional reality. Strangely, some scientists have said how reincarnation exists, and that consciousness is contained in the universe after death, pointing to the possibility of other dimensions coexisting with ours. According to Dr. Jim Tuccker author of the book “Life After Life: A Scientific Investigation of Children’s Memories of Previous Lives,” reincarnation is real thanks to consciousness being energy on the quantum, subatomic level which is held in our bodies during life and is not a part of them. Also, not long ago have experts concluded how the soul does not DIE: It returns to the UNIVERSE. Scientists are convinced how the human brain is in fact a ‘biological computer’ and the ‘consciousness of humans’ can be considered as a program run by the quantum computer located inside the brain that continues to exist after death. Previous Article← Were People Killing Giant Sloths in South America 30,000 Years Ago?